For more detailed information, you can find the full rundown on this here, but this post is more just a reminder. A reminder that at 12pm PDT the candy will reset and another piece will be available to collect at a random time starting AFTER that. So make sure you log into your game BEFORE 12pm PDT if you haven’t already collected your candy from the previous days release. Candy/Buckets will only appear by the sidewalks/roads. So if you’re having trouble finding it (BEFORE 12pm PDT) try removing some of your roads to make it easier to find it on the NEXT drop. It is VERY small and can easily hide behind things, so I removed any sidewalks that run behind objects and most down to only a few sections. Just look out for the sparklies. They are narrow but go quite high up. Also, remember you ONLY have 12 hours from time it drops in your town to find it. So as soon as you enter your town and trigger it AFTER 12PM PDT…that time will start. The candy is triggered each day by collecting rent from a building. 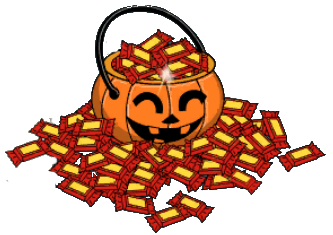 So, if it’s after 12pm PDT and you’re not seeing candy, try collecting $ from all buildings. Once you do this it should signal the candy to drop. 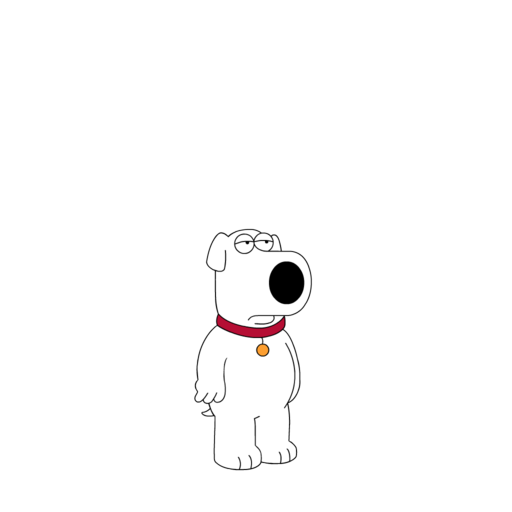 You must have Brian unlocked in order to start the Jack-o-Lantern quests. Brian is in District 6. You will not be able to unlock Pink Brian and/or collect candy unless you are past this point. If you are past that, then look to see where your Jack O Lantern is. Just go to the task bar and tap on Pink Brian quest and open the info. The details will pop up right over the top of where it is. Tall buildings can hide it. I was able to move it to better spot. 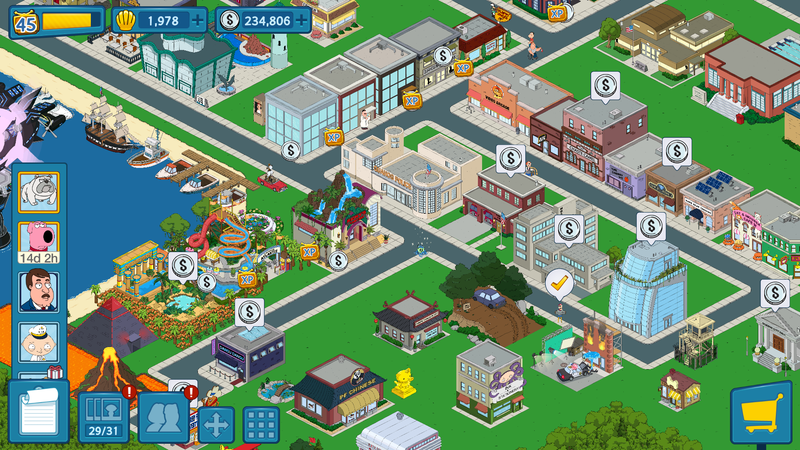 1 Candy/Bucket per day will appear in your Quahog and there will be ONLY 1 in your Quahog during that 24 hours window. That Candy Resets every day at Noon PDT. 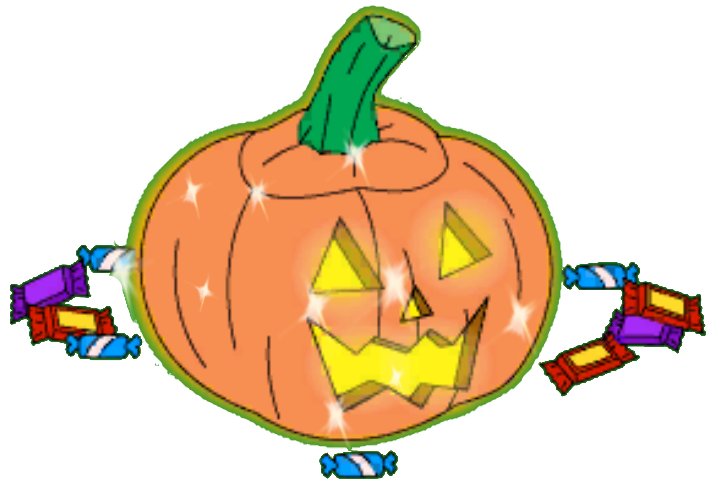 So if you trigger the candy at 8am PDT today and don’t have it BEFORE 12 noon PDT…no mater the time left… it resets at Noon PDT. So the closer you start to just before Noon, the less time you have to find it. 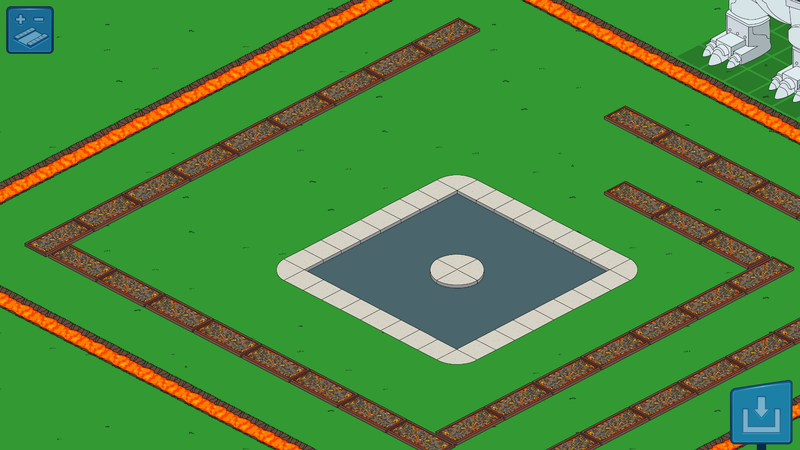 If a Candy Bucket is available, it will appear randomly in your Quahog after you collect rent from buildings. So keep a close eye out for it on ANY sidewalk. Even those you have hidden by buildings. It can be one of the 3. Also, it is easy to accidentally tap it… so watch for just a candy too. Both are very small in size and check your Pumpkin to see if you already collected without knowing. Force close / restart AFTER collecting from all buildings to make sure it shows. If you do NOT collect the 1 Candy within 12 hours of it dropping in your game (or until Noon reset. Whichever comes first. ), it is gone and you have no way of getting it back. So make sure you find it and snag it up right away. 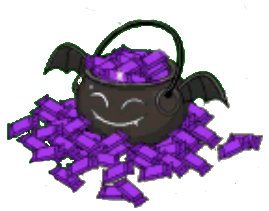 That means if you collect from your buildings at … let’s say 2pm PDT and the candy bucket is triggered…you will ONLY have til 2am PDT tomorrow to find it. 12 hours. The Jack O Lantern drops ANYWHERE. 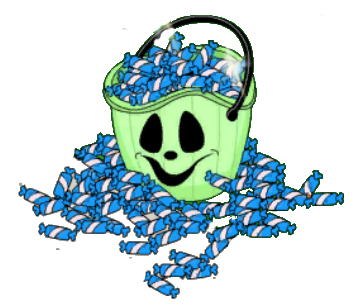 Candy/Bucket drops by sidewalks/roads. PDT (for those that don’t know) is Pacific Time USA. Now…GO GET ME SOME CANDY!!!! UPDATE: rebmatevol asked me to test this out, so here you go. I went into my game. No bucket. 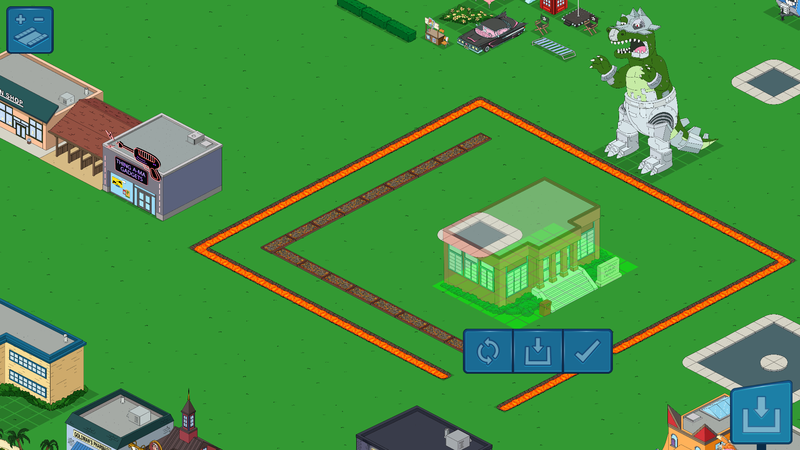 So just as suggested and in the FAQs, I tapped on a few buildings to collect money. After about 4 taps, BOOM…CANDY BUCKET. (See how lil it is?) It was right on one of the only pieces of sidewalk I have left. Sparklies floating out. Now to test a few theories, I put the game in “move mode” and moved buildings around it. I could NOT see it in move mode. Again, this is a small item, so for those of you with “hidden” roads and sidewalks BEHIND objects, this will be a lil more challenging. Zoom in to find it. To give you an idea of just how small it does look, here is a zoomed out glance. 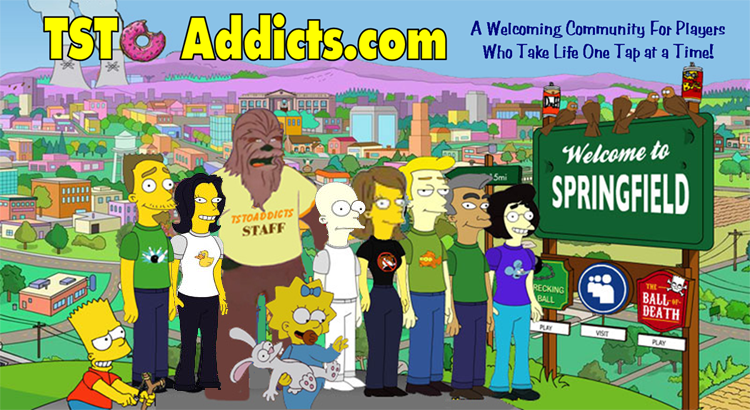 So here is a lil test….can YOU spot it? So in short, make sure as soon as the timer for candy resets you go in and tap/clear/collect ALL rent from buildings as you do not know what building collection will trigger it. (Was a building yesterday, trailer today for me.) 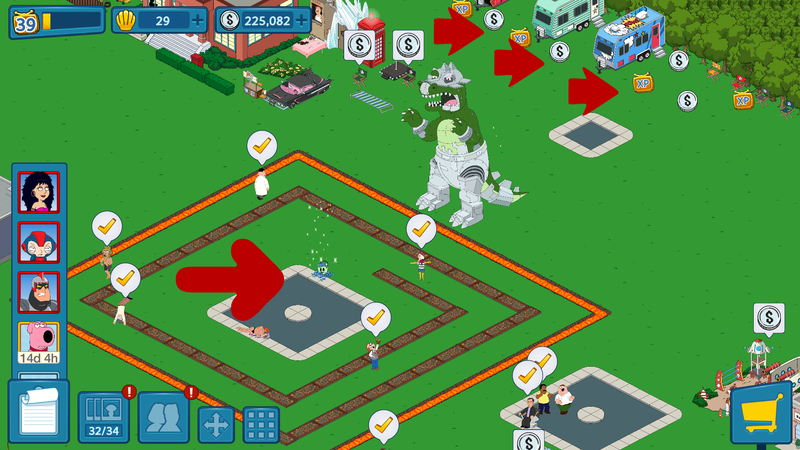 If you still do NOT see it, force close and restart your game. (If your game is saved to an email or Facebook…you can even go as far as uninstall/reinstall.) Then try again to locate the sparklies. What do YOU think of the event? Are you enjoying it? Thoughts on the Candy/Bucket Scavenger Hunt? Excited to get Pink Brian? Sound off in the comments below, you know we LOVE hearing from you! 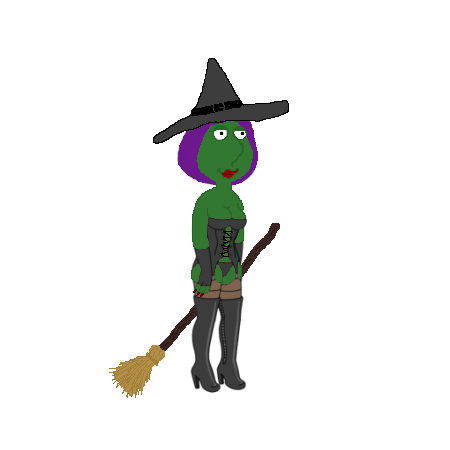 This entry was posted in Characters, Special Event, Tips and Tricks and tagged Family Guy Game, Family Guy Halloween, Family Guy the Qust for Stuff, Family Guy Tips and Tricks, How do I get pink Brian?, What do the Candy Buckets look like?, When does candy drop in Family Guy, Where's my candy in TQFS?. Bookmark the permalink. I havent had candy drop in 2 days:( I’be been down to 1 small strip of sidewalk for weeks and know I haven’t missed it! I am 1 piece from pink Brian. Grrrr! 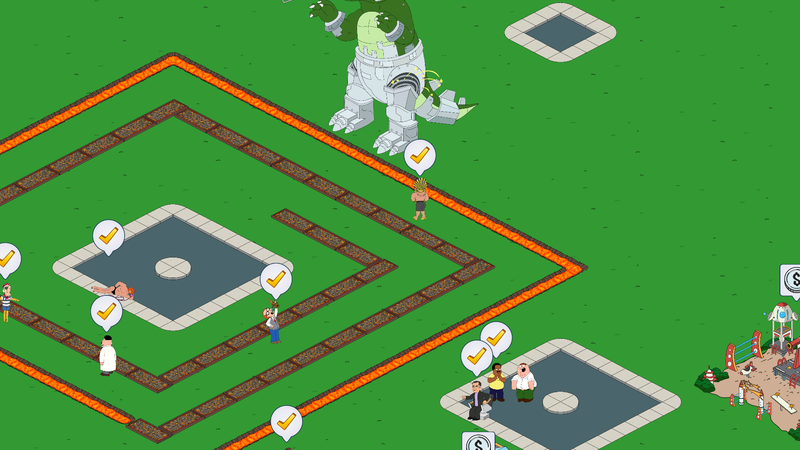 I’m not sure if I’m in the right place but I have the plutonium and it won’t let me activate the blimp. Anyone with this issue or am I missing something? I have no active tasks at the moment. I’ve also tried delete and reinstalling the app to no avail. Is there a checkmark over the blimp? Now I’ve updated to the latest for the Halloween event and still no continuation. Still have my one plutonium and game is just stuck on nothing. No new tasks or anything. Do you not have a single ask in your side bar? I have 4 pieces of candy so far. Guess I’ll reduce my road to make it a lil easier to find them.